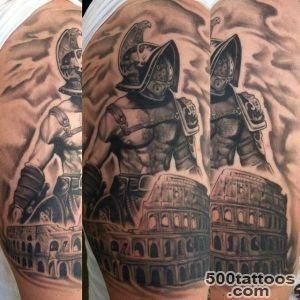 Tattoos depicting gladiator - a slave , fighting in the arena of the amphitheater for his life and freedom - surely have taken a worthy place in the world of tattoo and found many fans. 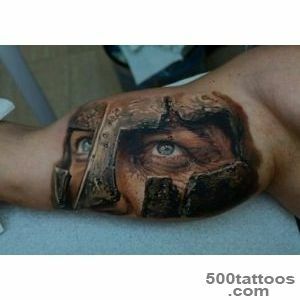 Often you can see such a tattoo that symbolizes those hard times and deadly battles among young people . 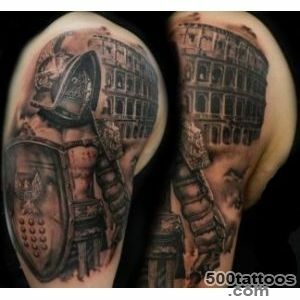 Tattoo Gladiator occurs in women ,but it is rather an exception . 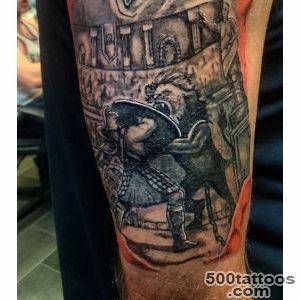 Sketch of tattoo Gladiator is performed usually in the realism style , so it will be necessary to look for a good artist . 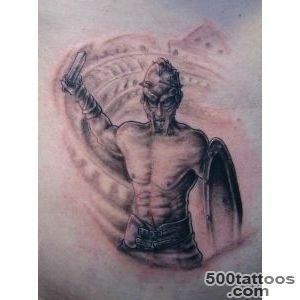 Apply this figure is usually on the shoulder , chest or back. 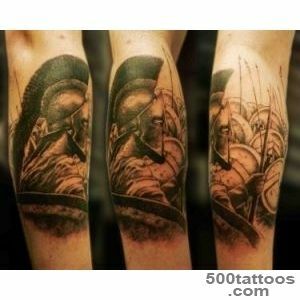 This tattoo is a tribute to the history and moves into the era of the valiant battles , valor and heroism .Most often tattoos depict famous gladiators of Rome and the provinces of the Roman Empire , the Greek heroes and the poem of Homer 's "Iliad " . 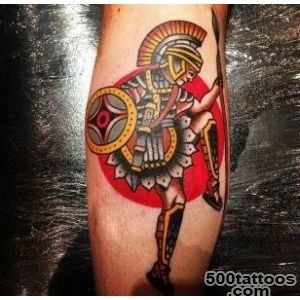 New fashion trend has become the image of characters popular Hollywood films, telling the audience about the heroes of the arena , such as , for example , Maximus , played by Russell Crowe in "Gladiator" movie , or Achilles ,embodied Brad Pitt in " Troy ." 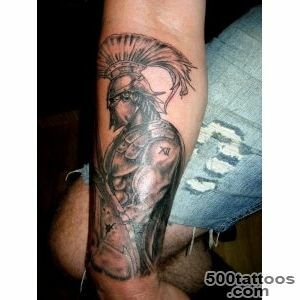 Meaning tattoo Gladiator - fearlessness and courage, loyalty and perseverance . 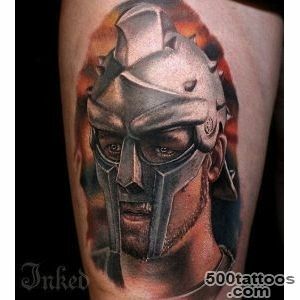 Each gladiator fought to the last , trying either to die with dignity , or to win freedom . 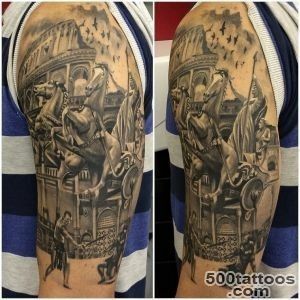 Therefore, one of the most important interpretations of this tattoo is the pursuit of freedom .In the modern sense it can have the freedom of thoughts and feelings . 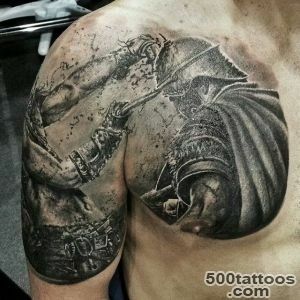 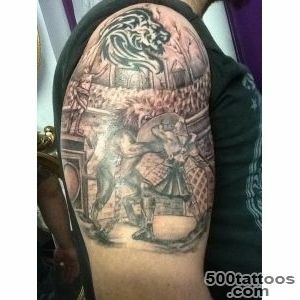 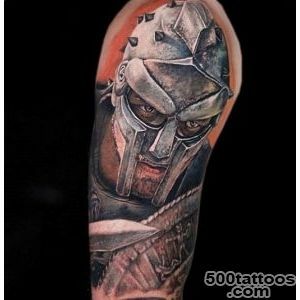 Occasionally gladiator tattoo symbolizes aggression . 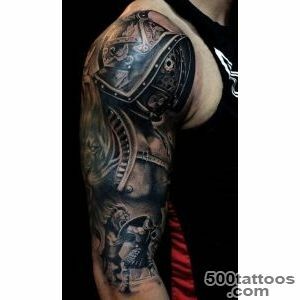 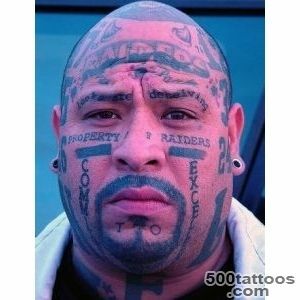 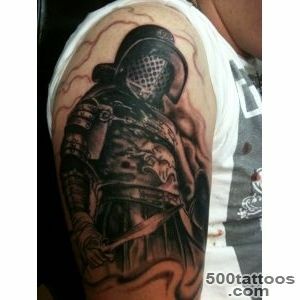 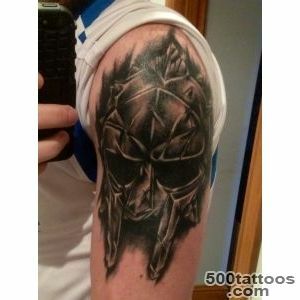 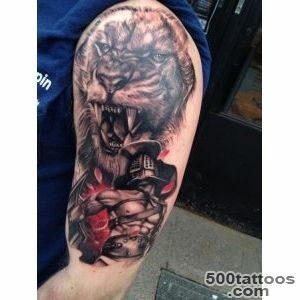 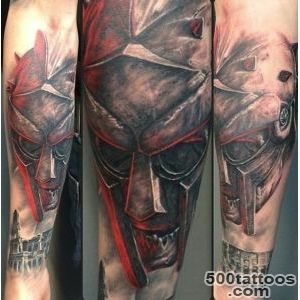 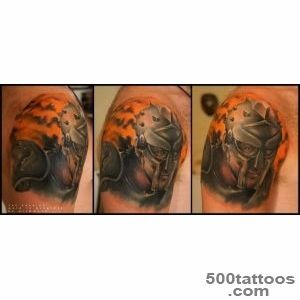 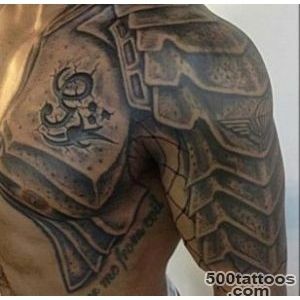 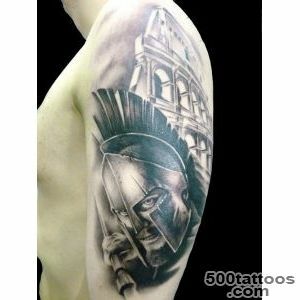 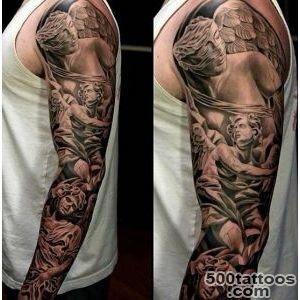 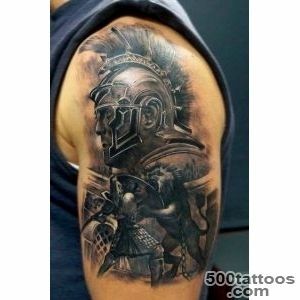 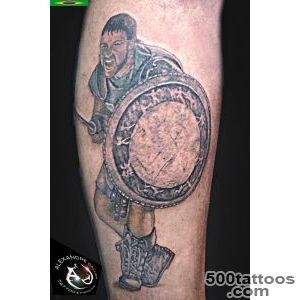 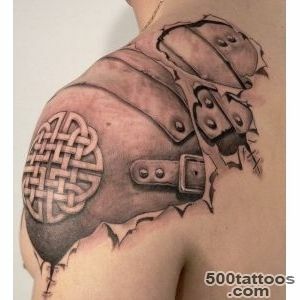 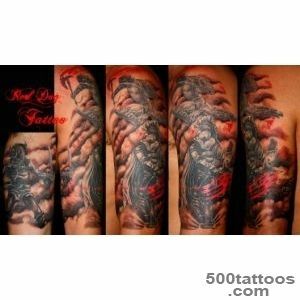 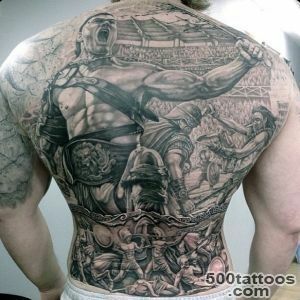 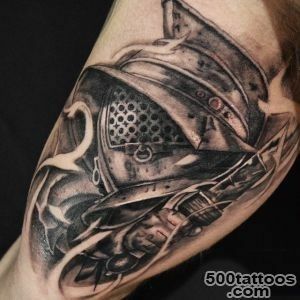 The specific meaning of the expression has gladiators face , his facial expressions, the overall design of the tattoo . 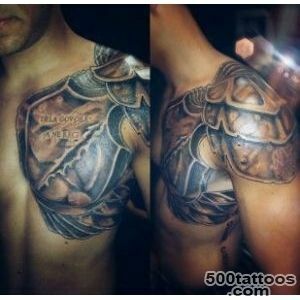 Of great importance is in what position shows character . 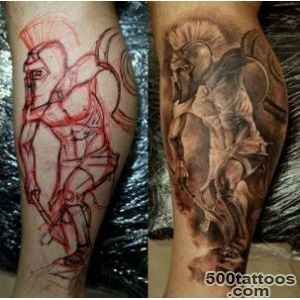 Depending on the selected sketch tattoo can express both the aspiration and hope,and frustration and hatred. 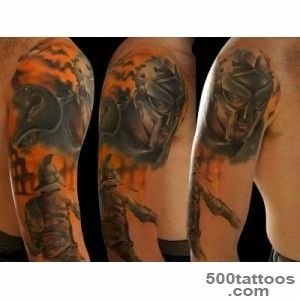 It must be remembered that the tattoo Gladiator distributed among the underworld and also belongs to the category of prison tattoos . 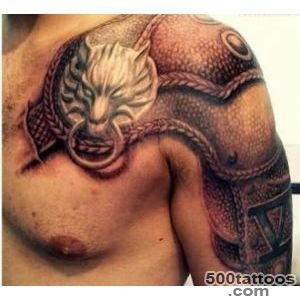 It symbolizes the "mother of the wolf ." 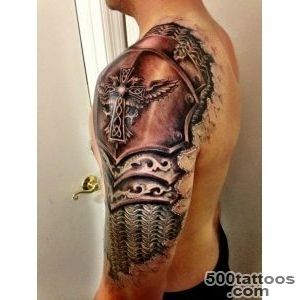 Dripping with blood gladiator sword points to the " fighter " with considerable experience.Tattoo depicting gladiators often applied to the shoulder , shoulder , back or chest. 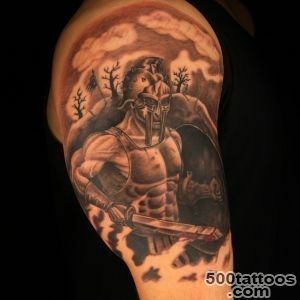 Equally impressive looks and color and in black and white . 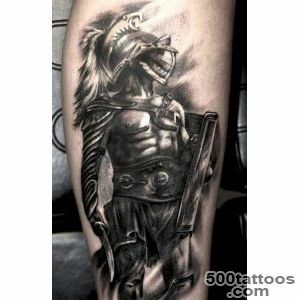 Picture Gladiator , depending on requests can be made to be very realistic , and in a stylized form . 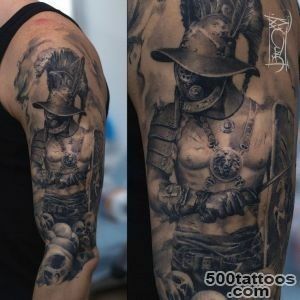 If there is a desire to express their strength and heroism ,ineradicable spirit of freedom - a gladiator tattoo fits perfectly .